Wow, what a response! This community definitely has an opinion about the best of the best in Dr. Phillips. With so many votes, it took us some time to sort the data, but we believe we have our winners! Thank you to everybody for taking the time to cast your vote! This category has long been owned by Christini’s, but not anymore. Ever since Eddie V’s hit the scene, there has been a new sheriff in town in the fine dining category. 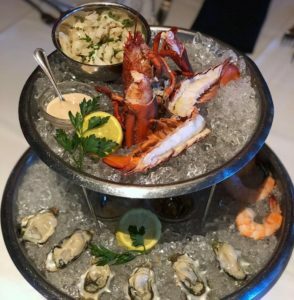 Maybe it’s the elegant seafood tower experience at the bar, or perhaps it is the amazing Sea bass on the menu. Whatever it is, it’s clear that Eddie V’s is the new clear favorite in DP for fine dining. Arnie would be proud! But was this really any surprise? 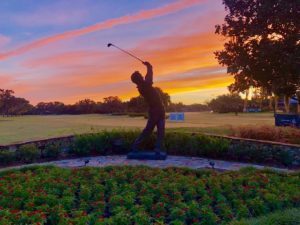 There are only two golf clubs really in Dr. Phillips, and although Orange Tree is a great course, it can’t hold a par against the experience at Bay Hill. This category was more heavily contested than we thought it would be. Too Jays edges out the new Tomko Tavern as local favorite for families. Too Jays, with its Jewish Deli theme in the heart of the Dr. Phillips Marketplace is a great choice. 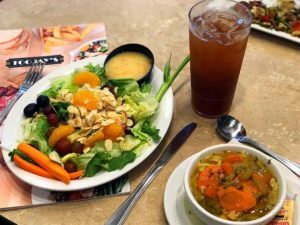 It has a great diverse menu and is very comfortable for families. It also serves wine for the adults! Remember when the Whiskey was Cricketers? Wow, that seems like forever ago. Ever since it opened, The Whiskey has been running strong! 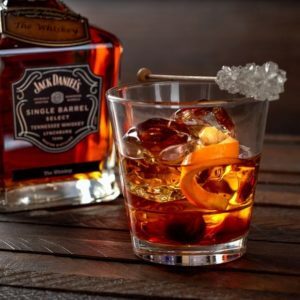 Known for its vast whiskey selection, this is a great spot happy hour. Knocking long time favorite Rocco’s Tacos out of the top spot is something to be proud of. Maybe it’s the $5 Jack on the menu all day every day. Nice effort by Orange Theory, but really, is anybody going to beat the YMCA for best fitness in this area? With its recent renovations, the place is absolutely stunning, almost like your in a 5 star resort spa. We are blessed to have the YMCA anchor in our community. 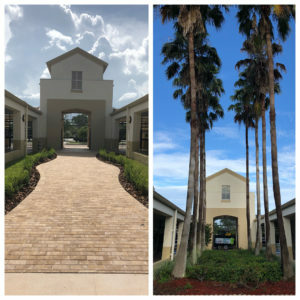 Is Dr. Phillips the Day Spa capital of the world? Jeez, we sure are we lucky to have so many world class options in our backyard. 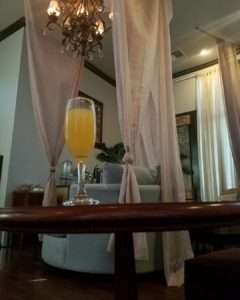 We thought it might be Massage Envy with their broad appeal, but Woodhouse in Dellagio Town center was the clear winner. Must be the champagne given to customers when they arrive! Seriously, take a look at their reviews, people absolutely love this place! This is the hardest category to calculate because there were so many write in votes! Every agent who receives at least 2 votes is given a drop down selection. 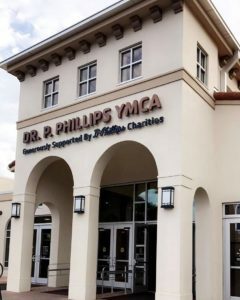 That being said, it is hard to beat Paul who has his name on the Dr. Phillips YMCA. Paul has lead by example for many years in motivating people in the Dr. Phillips area to become more involved in their community. 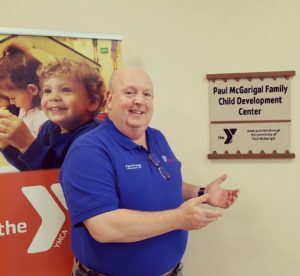 He has been a volunteer on the Board of Directors of the YMCA since 1983 and in 2014 McGarigal Made a $500,000 Endowment to the DP YMCA. Dellagio Dentist edges out Sand Lake Dental for the top dental favorite in Dr. Phillips. 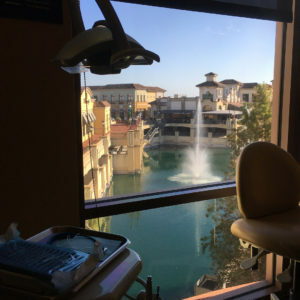 Dellagio Dentist features two extraordinary dentists Kaianne Conibear, DDS and Kimberly Service, DMD both and the practice has a 4.5 STAR rating on Google with over 200 reviews. Quite impressive we must say. Remember the days when there were no 5 STAR hotels in Orlando? Now we have many to choose from but according to our fans, Four Seasons takes the cake. 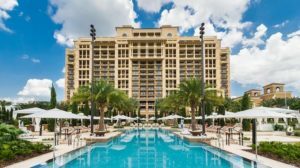 This resort has an extraordinary rating and is best known for their Disney location. It also features an excellent golf course, lazy river, spa and restaurant options. Definitely pricey, but if you are looking for the best, this is it according to our fans. 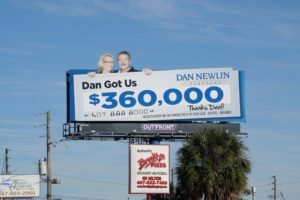 Whoever says billboards don’t work must not be watching what Dan Newlin is doing. His “Dan Got Us” campaign must be working because the billboards are all over the area. Rumor has it that the guy spends $250,000 per month in marketing and advertising! Well, that type of spending earned him best of Dr. Phillips honors. Coming in second was Divorce Attorney Robert Wheelock of the Dr. Phillips Law in the marketplace, who we are told does zero marketing. One of only two businesses to take home two awards this year! 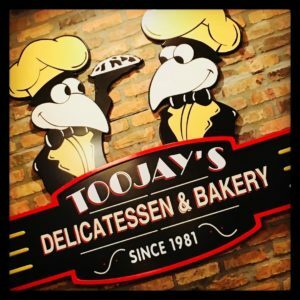 Too Jays was also the family dining favorite, but now casual dining too. Take a look at the race for second, Miller’s Field house and Gators running neck and neck. Who has better wings? That’s a category we will add next year. 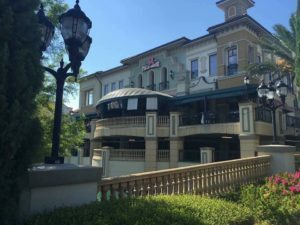 In a sea of chain restaurants on the strip, it is a fine accomplishment for the family who operates Fresco to continuously be the #1 Italian restaurant in Dr. Phillips. 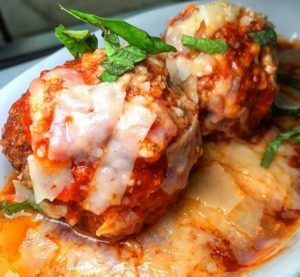 If you haven’t been, you must try the eggplant parm. Next time you stop by, tell Achille you saw him on I love Dr. Phillips. 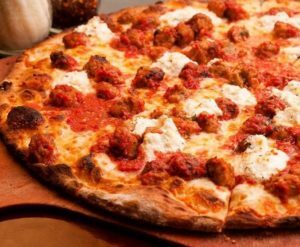 Rocco’s will forever been the local favorite. 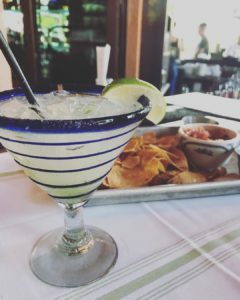 Its shear size and party atmosphere on the weekends, make this place everyone’s favorite Mexican spot on restaurant row. It’s open until 2am, and you can order tacos until about 1:45am. The pizza joint in the same plaza as Whole Foods, wins the top spot. Not only does it have great traditional pizza, but we are told its “white” pizza is also fantastic. It also serves a Pot of Meatballs, 13 Large Meatballs Slowly Cooked in Tomato Sauce and you get to keep the pot! 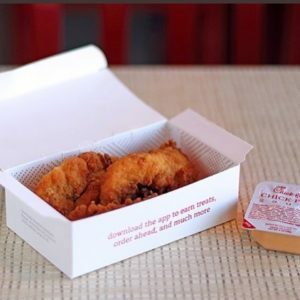 Let’s be honest, Chick Fil A is the king of chicken. Perhaps Huey Magoos’ gave them a little competition, but a vast majority of our fans still think Chick fil a serves the best chicken in town. Have you seen its drive thru madness!? It doesn’t get any closer than this! Three great steakhouses all receive almost the same votes. Ruth’s Chris, Flemming’s and Morton’s in that order. Don’t forget Black Rock. Long thought to be dead, the unique Steakhouse had made some significant improvements in the past year. 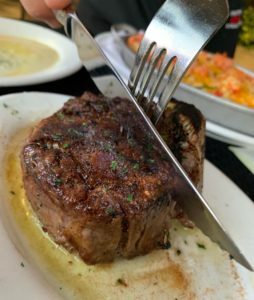 It’s easy to say we have plenty of great options in Dr. Phillips for a great steak meal! The Whiskey wins again! The place is known for brown spirits, but is also known for great burgers. 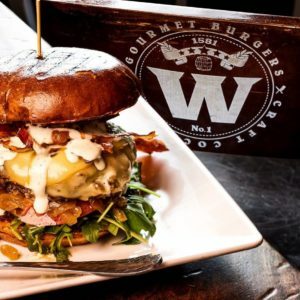 Creatively topped burgers and a lengthy whiskey menu in an intimate pub atmosphere with regular live music! What is not to like? Try the Lassahn burger with Bourbon Bacon next time, it is named after one of the owners. We are more surprised that Big Fin has fallen so much but Eddie V’s definitely deserves credit for another win on our list. 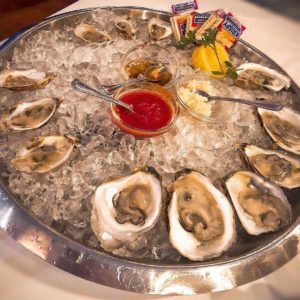 The restaurant features elegant fine-dining with a delicious seafood & steak menu, plus a luxurious cocktail lounge featuring live jazz. A first class experience all the way. An overwhelming response to this category and the field house comes out on top. If this were a heavy weight fight, the others would be knocked out. We thought Tomko’s would do better, but it just doesn’t seem to be happening for them. Gators is also a great option for a great sports bar experience. Let’s call them the BIG 3. Holy Family, Windermere Prep, and The First Academy are the favorites, but the only private school actually in Dr. Phillips wins the vote. The Fall Festival Holy Family throws annually is always a fun time too. Nice to see The Crenshaw School on the list…did you know Justin Timberlake went there? This category received the most write in votes! So many favorites out there, but there were a few new names that seemed to get a ton of activity. 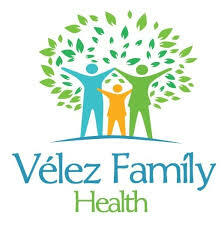 Dr. Tonia Velez takes the top spot, followed by Dr. Marla Robbins and Direct Primary Care provider Dr. Toni Muzzi. This place has been here forever! Remember when the lot was an older Rinker concrete plant? 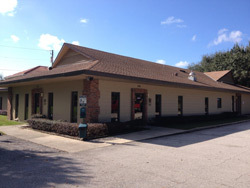 The Sand Lake Animal clinic consistently ranks as one of the best not only in our area, but in Orlando. It has a 4 out of 5 star rating on yelp for the past 3 years straight. Have the Knights finally arrived? For the longest time, the focus was on the Gators and the Seminoles, it appears these Knights are for real. The real test will be on the field. 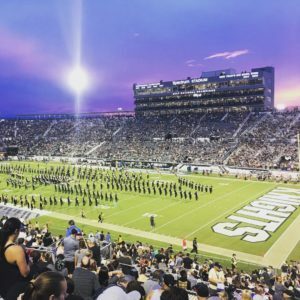 UCF is boasting the longest current undefeated streak in college football and receiving a great deal of attention from this feat. It’s great to see the Knights emerge as powerhouses in the college sports world. National champs am I right? Thanks again to everybody who voted and congratulations to all of our 2018 Best of Dr. Phillips winners!